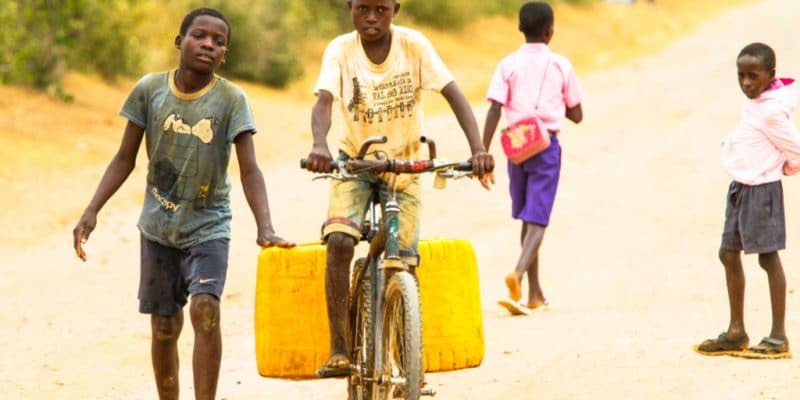 The Government of Ghana has announced that it will provide $30 million for the project to expand drinking water supply capacity in Yendi, a city in the northeast of the country. The money will be provided by Exim Bank of India. Access to safe drinking water will soon be improved in Yendi, a Ghanaian city in the northeast of the country. It is, however, what the government of this West African country promises. It has recently announced that it will provide no less than $30 million for a project to expand drinking water supply in a city with a population of more than 117,000. The financing will be granted through a credit facility between the Government of Ghana and Exim Bank of India. The project plans to pump water from the Daka River, which runs through northeastern Ghana before flowing into the Volta River. The water will then be transported through a 25 km long pipeline. The precious resource will make a first stop at a drinking-water treatment plant with a capacity of 15,000 m3 per day. Once treated, the water will then be stored in a tank. Before being consumed by the population, the water will have to pass through a pressure boosting station, which replaces the force of gravity from a water tower and allows the water to be “pushed” towards the user. The drinking water project in the city of Yendi will also have to rehabilitate and extend the distribution networks over 50 km. All these infrastructures should make it possible to provide drinking water to 113,000 people, living both in the city of Yendi and in the surrounding small towns and villages. According to Kojo Oppong Nkrumah, the Minister of Information, this project should “relieve the populations, but also contribute to the agricultural sector through the production of food crops and cash crops”. This is particularly so since the populations will now be able to devote themselves better to it since they will be freed from the burden of water collection. The city of Yendi already has a factory that also pumps water from the Daka River and recently, it has been experiencing periods of complete stoppage. In April 2018, for example, Ghana Water Company Limited (GWCL) shut down all machines. The reason given by the public company responsible for the distribution of drinking water was the drying of the Daka River. This would have caused the water level to drop, preventing GWCL’s pumps from delivering enough water to the city’s plant. This situation was temporary as the plant began to treat the water again after the return of the rainy season and the rise of the river water. More to come, since the resource will now be even more in demand….